Oddly enough, what stuck most in my mind this week about my practice was thoughts on the act of practicing. It just so happened that in the same week, several of my students asked me about how often they should practice, and two of my martial-arts-role-models spoke about the frequency of one’s practice. With these independent events coincidentally happening in the same week, it definitely brought the importance of frequent practice to the front of my mind as well as making me reflect upon my own practice. Frequent practice yields a treasure chest of rewards. This week in black belt class, Master Pearson shared a quote from a wilderness survival teacher he took some courses from. The wilderness survival teacher had said that “practice should be constant.” The teacher apparently practiced survival skills where ever he went; he’d even practice wrapping cordage in line at the bank. 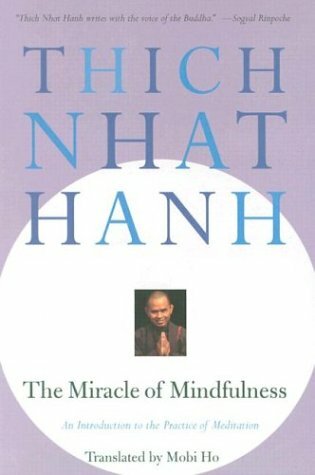 While that much practice may seem a bit extreme, it reminded me of the teachings of buddhist monk Thich Naht Hanh in his book The Miracle of Mindfulness. One of the main teachings in Hanh’s book was that any action can be a meditative act; even simple actions like washing dishes or eating an orange have the potential for us to clear our mind and connect with ourselves in this moment. I haven’t yet figured how how to authoritatively practice Taekwondo in these typical daily actions, but the message is the same: opportunities for us to turn our minds to our practice exist in our daily lives if we are open to them, and the more we turn our minds to our practice the more attuned to our practice we will become. Hanh teaches us how even seemingly mundane daily actions offer us the opportunity to turn our minds and selves to our practice. The importance of frequent practice was further brought to my attention by Mr. Alessi, one of the higher ranking blackbelts in our association who has often helped me as a training mentor. Mr. Alessi shared that he believes shorter but frequent practice sessions to be far better than long but infrequent practice sessions. For example, let’s say that one has a very busy job and family life and can only devote three and a half hours each week to practicing Taekwondo. Instead of one practicing Taekwondo for three and a half hours on Saturday but not on any other day, it would be better for one to practice Taekwondo for half an hour each day. Even though the practice would be shorter each day, by continually returning to one’s practice each day, one keeps the practice material (what is practicing) more current in one’s mind. In this way, one will retain things learned better and think about the practice material more often in daily life. Conversely, if one only practices for three and a half hours once a week, one might have a really great practice session that day, but by the time a week passes and one finally gets back to practicing, one may have forgotten some of the finer points learned during the last session, or, at the very least, the practice material will be much less current in one’s mind and one may have to spend some of that three and a half hour time block just catching up to where one was last week. Consistent and frequent practice sessions, even if they are short, will keep practice material current in one’s mind and yield better retention of and faster advancement through that practice material. With all this talk of practice this week, what really stuck out in my mind about the importance of practice, and I know that I have heard this from others too, is that independent practice makes it yours (“it” being that which you are practicing). There’s a big difference between practicing something in a class vs practicing something on one’s own time. Powerful magic happens when one makes practice and training personal in this way. When one choses to do anything on one’s own time, one is saying to one’s self, “this is something that matters to me.” In practicing martial arts on one’s own, one can get insights into techniques, and these insights are gained not from class but actually from one’s own practice. It turns martial arts from something one does socially in class to something that ONE DOES. In my experience, I find that students who practice on their own are not only more focused in class, having fresh insights gathered from their individual practice sessions, but they also are way ahead of their non-self-practicing peers in both skill and experience. Practicing Taekwondo on one’s own makes a huge difference in one’s development as a martial artist. I think that many students are intimidated by practicing alone. There are worries about making mistakes and practicing techniques incorrectly and just getting lost. Don’t worry about getting lost though, because in getting lost we can better know where to go by learning where not to go (this is also where asking one’s instructor questions comes in handy). Many are also intimidated by the seemingly big time commitment. The total time it may seem to master a technique seems unfathomable – a quest too great to even set out upon. However, one does not have to get there all at once. Gradual progression is okay too; if we are driving from New York to San Diego, we don’t give up if we can’t drive from New York to San Diago in five minutes, right? We understand that such treks take sustained effort over time. As long as we continually face the direction of San Diago and keep moving forward, we will eventually get there. In this way, the travel time is not wasted but is simply a necessary part of the journey. Similarly, we may feel that we aren’t getting very far with some of our early self-practice time, but it is just a necessary part of our journey that gets us closer to mastery. Step by step, little by little, we will get there as long as we keep moving forward; do at least a little something every day that will add to your practice and your progression towards mastery. Through the words of Master Pearson and Mr. Alessi and their turning my attention to my own practice, I now see that true martial arts practice is a way of life. 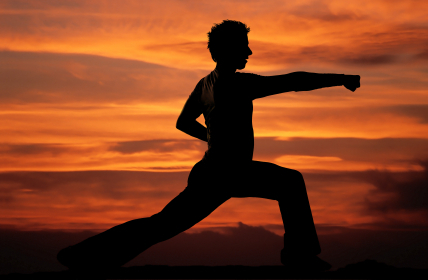 It is the aim that differentiates that martial artist from the weekend-warrior. Everyday in every way, the martial artist eagerly and tirelessly focuses on his or her practice: always striving for a higher level of mastery, and always becoming greater and greater. I strive to live up to this high ideal of practice. Next PostWhy Do Martial Artists do Demonstrations? Well, why do we in Shin Ho Kwan do Demonstrations?